National Grid's Future Scenarios report has found that the renewable energy targets set by the EU are 'beyond what can be achieved'. Image: The Smallpiece Trust. The company made the claim in its Future Scenarios report published today, which outlined the UK’s progress towards the targets laid out by the 2020 Renewable Energy Directive. This applies national goals to all member states to support the EU’s aim of meeting 20% of energy demand with renewables by 2020. The UK has an individual target of 15% split between renewable electricity, heat and transport. National Grid’s report claims that progress under the electricity category will allow the UK to surpass its 30% target by 2020, estimating over a third (34%) of electricity will come from renewable sources. However, for renewable heat to achieve its 12% contribution to the target, it needs to increase by 60 TWh from today’s level of 35 TWh. National Grid claims that while the technologies are available to reach this level, the pace of change needed in the next four years is out of reach. It makes the same judgement for the transport sector, which the Department of Energy and Climate Change recently revealed had seen its share of renewable energy fall by 0.8% in 2015. The Future Scenarios report claims that there is currently 14.5 TWh of renewable transport, requiring an additional 24 TWh by 2020 to meet the target. Instead, it estimates that only 12% renewable energy will be achieved by 2020, with the National Grid's low-ambition ‘No Progression’ scenario claiming the 15% target may not be hit until 2029. It remains unclear how these targets will be affected by the vote to leave the EU on 23 June, however government ministers and business representatives have claimed that they expect climate change action to continue unaffected and held to existing targets. Niall Stuart, chief executive of Scottish Renewables, said: "This is just the latest piece of research which shows the UK is set to miss its 2020 renewable energy targets. "We have simply failed to grow renewables' share of the energy used in heat and transport to the levels required, and we will not meet our climate change targets without massive changes in these two areas. The considerable changes to support for renewable energy enacted by the current government since last year’s election have drawn wide criticism from across the sector and beyond. 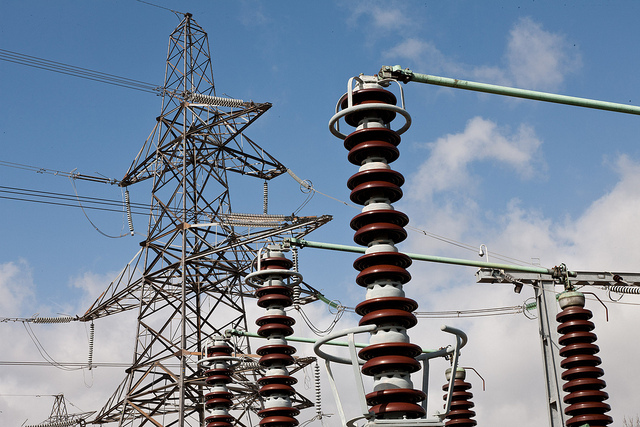 Dr Jenifer Baxter, head of energy and environment at the Institution of Mechanical Engineers, has claimed that the National Grid’s findings are a consequence of these changes in policy. “This confirms that the recent cut in renewable energy subsidies, as well as the lack of clear policy to encourage low-carbon technologies, has led to a drop in investment in renewable energy,” she said. “Previous subsidies generated many new renewables projects, many of which are still coming online. These projects have led to an over generation of electricity on the grid at the wrong times, when demand is low, and this has yet to be balanced in an efficient or affordable way." The report also found that the UK could be in danger of missing its own domestically set emissions targets of an 80% reduction by 2050. It calls for a clear pathway to decarbonise heat and transport, with heating posing the biggest long-term challenge. To do this in the most cost-effective way, approximately 25% of heat and of transport will need to be decarbonised by 2030 using renewable sources of both electricity and gas. In addition, it claims that approximately 22 GW of nuclear, 100 GW of renewables and 20 GW of CCS will be needed by 2050 to reach overall emissions targets.